SAN JOSE, Calif., March 28, 2018 — Virsec, a cybersecurity company delivering a radically new approach to protect against advanced attacks, today announced that Mike Ruettgers has joined its Board of Directors. Mr. Ruettgers is widely known and respected in the technology industry serving for many years as the CEO of EMC Corporation, the world leader in products, services and solutions for information management and storage. During his tenure he was named one of the “World’s Top 25 Executives” by BusinessWeek, one of the “Best CEOs in America” by Worth Magazine, and one of the “25 Most Powerful People in Networking” by Network World. 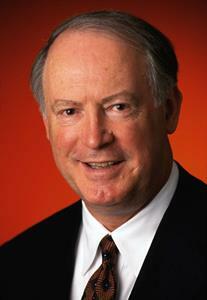 He spent much of his early career with Raytheon and was the Lead Director of their Board for a number of years. In the last year, there has been a rapid increase in advanced, targeted cyberattacks launched to disrupt businesses, hijack control over internal systems, steal sensitive data, and damage critical infrastructure. Virsec has pioneered technology to protect critical applications from the inside, protecting processes in memory and pinpointing attacks in real-time, within any application. Through its patented Trusted Execution™ technology, Virsec maps acceptable application execution, and instantly detects deviations caused by attacks. This deterministic process takes the guesswork out of cybersecurity, detecting and blocking application attacks within milliseconds, with precise forensics at every step. Based in San Jose, California, Virsec was founded on the belief that a new model is required to counter today’s threats. The company is led by industry veterans who have driven one of the world’s top processor teams, and created innovative technology in network security, embedded systems and real-time memory systems. The team has broad leadership experience at companies including AMD, Cisco, Palo Alto Networks, Juniper, Dell, NextGen, BMC Software, ForcePoint, as well as a long list of high-growth start-ups. More information and demos are available at www.virsec.com.